Made with fresh roasted sweet onions and jalapeños, our Sweet Mother of Onion Jalapeno Marmalade is perfect on sausages, brats, and steaks. Elevate your classic meatloaf from familiar to fabulous. Raspberries offer an impressive list of health benefits and are thought to be one of the world’s most perfect foods. 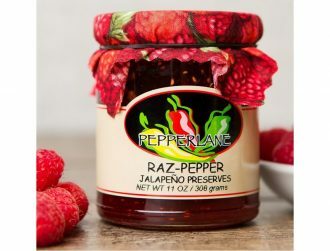 Mixing ripe, red raspberries with jalapeños makes Raz-Pepper one of our sweetest and most popular preserves. Try it on salmon or change up your PB & J sandwich. We mix lime, coconut, and jalapenos for a tasty flavor that will have you singing a new tune with a kick. 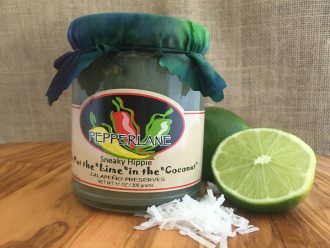 “Put the Lime in the Coconut and eat it all up” jalapeño preserves. Try it with shrimp or scallops for a delicious main dish. Serve as a topping on cheesecake for dessert or with cream cheese and crackers as an appetizer and you’ll have the delightful taste of key lime pie with a kick. 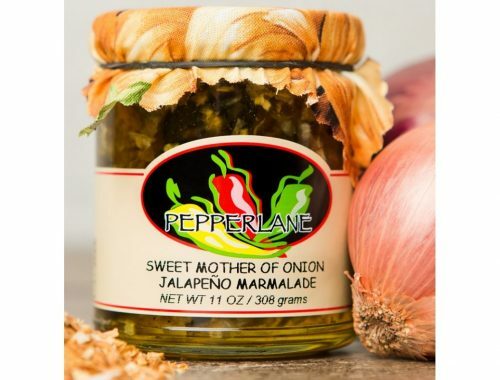 We blend sweet, luscious, juicy peaches with fresh jalapenos for a taste that will leave you feeling invigorated and satisfied with a warm feeling inside and out. 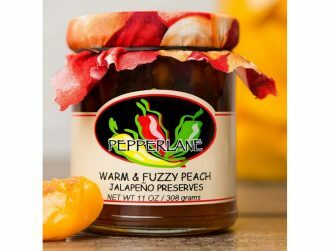 Try Warm and Fuzzy Peach Jalapeno Preserve as a glaze on a fruit dessert or warmed and drizzled over waffles. A twist on a classic taste, Meyer lemon is a cross between and lemon and mandarin orange. It is a softer and more palatable version of a lemon and slightly sweeter with a mild zesty bite. 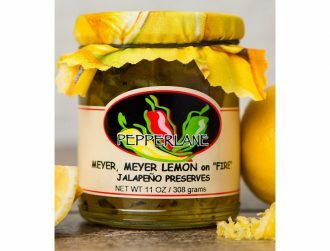 The intoxicating aroma of our Meyer, Meyer Lemon on Fire has a hint of honey and thyme, matched perfectly with our jalapenos. Try it on fish or as a glaze on Cornish game hens.